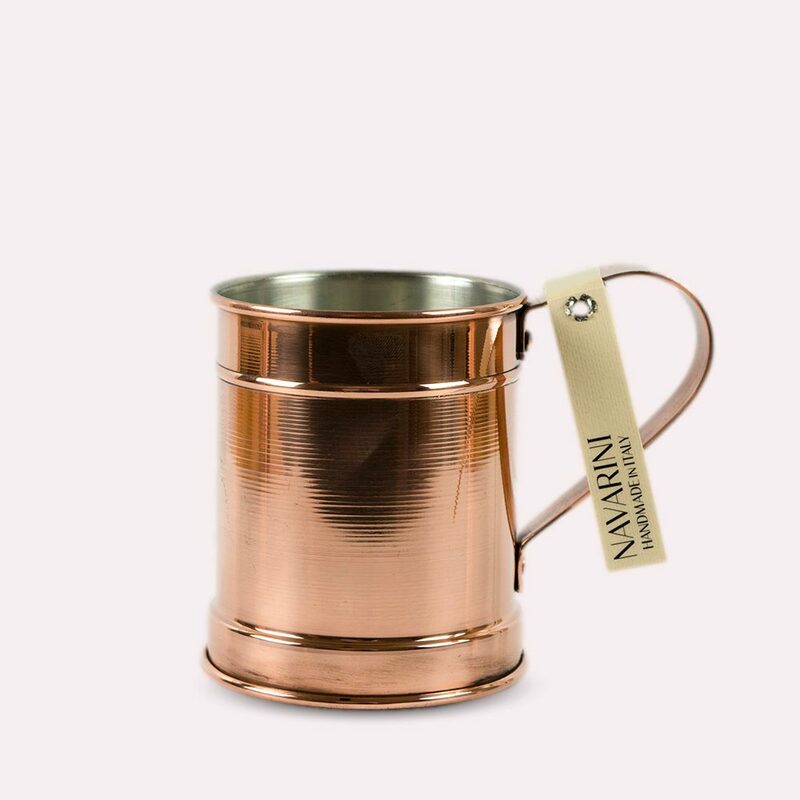 Our handmade copper cup is one of our bestsellers in Europe and the "vessel of choice" not only for Moscow Mule but also for other cocktails as well as for beer. 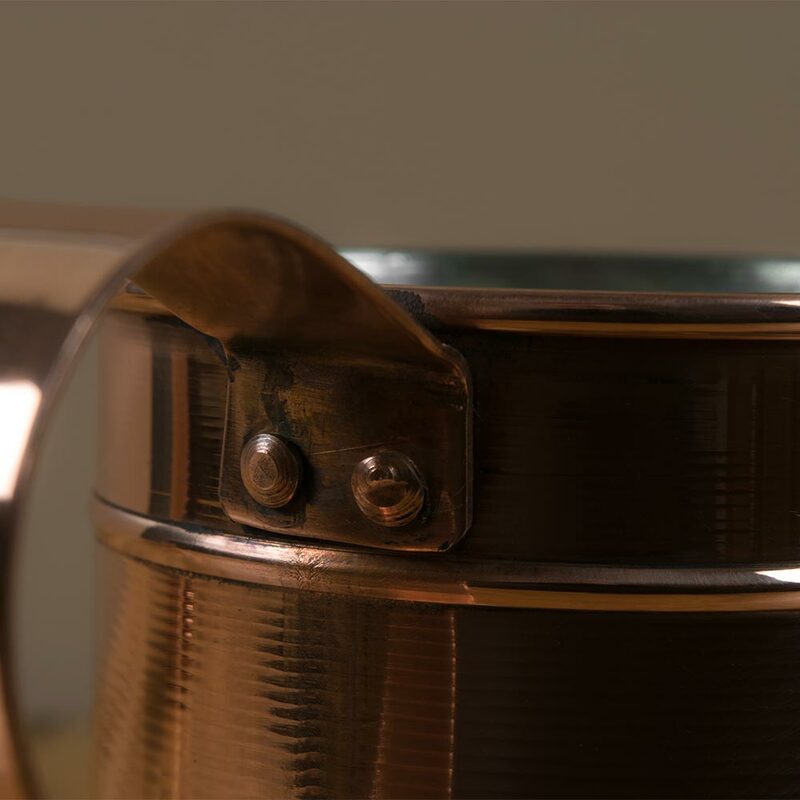 The traditional design is handcrafted from one single sheet of 100% pure copper. 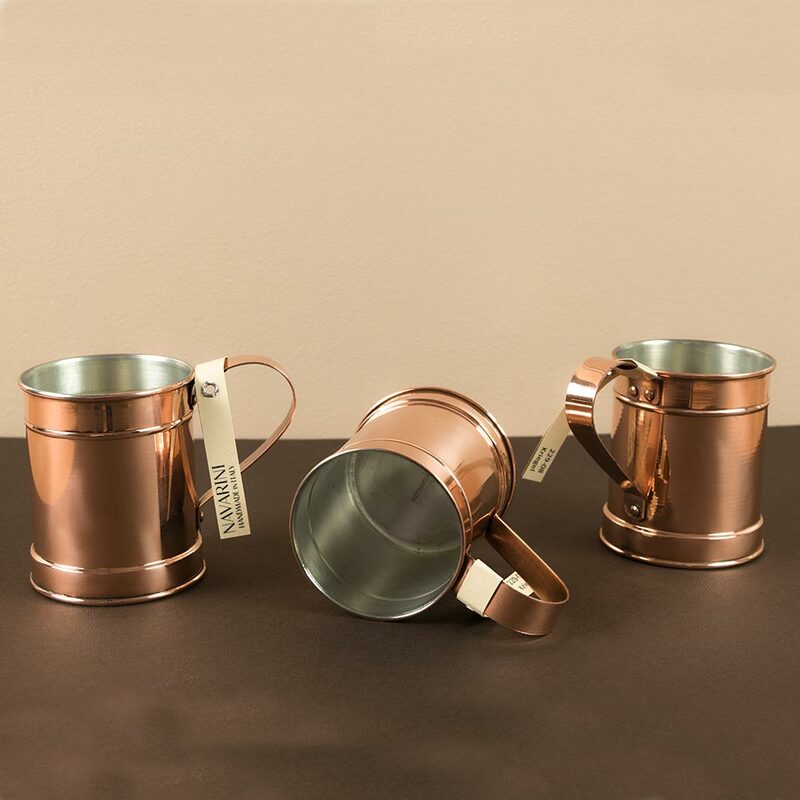 Copper reacts very quick and efficient to the temperature of whatever it comes in contact with, making a copper cup perfect for iced beverages and cold drinks. 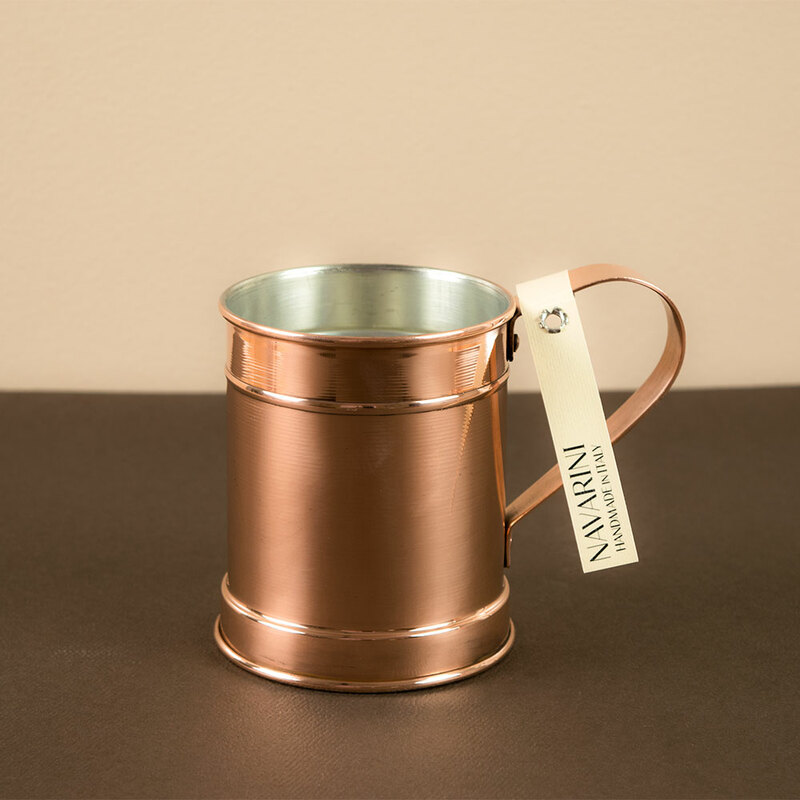 Our copper cup holds about 12 fl.oz. and is completely tin lined on the inside. Every single cup is hand-tinned, using only 100% pure, non-reactive tin and utilizing the traditional fire-tinning method. This ensures an even and thick layer of protective tin on the inside of the cup. 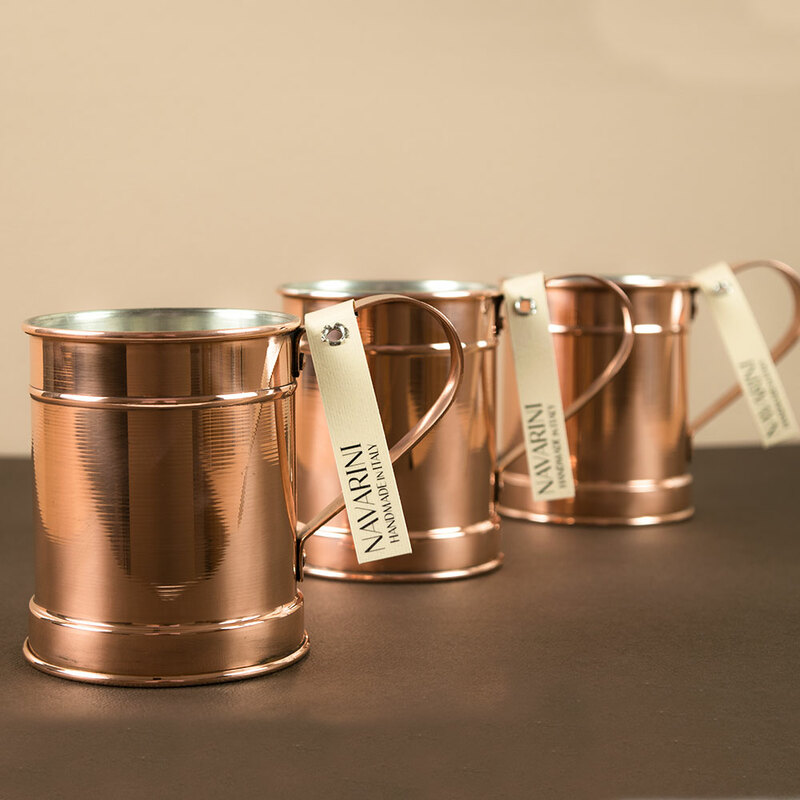 As all of our products, our copper cup is hand-crafted in the Navarini workshop in northern Italy.